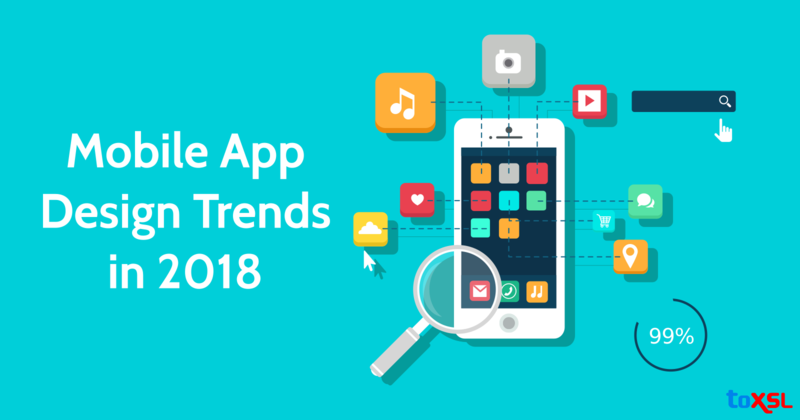 According to an estimate by Statista, nearly 269 billion apps are downloaded in 2018. Mobile application design is essential because of the fact that the vast majority of your potential buyers like to use apps to browse and buy items or services. However, only putting a mobile application on the user's phone screen wouldn't change them into customers. After scanning your application, the user experience counts a lot for the success of your business. If your application has issues with respect to navigation, hierarchy, pictures, downloading, etc., at that point such a poor experience will halt them from purchasing your items. In the event that your application is not driving traffic, generally, the fault is in its inability to give a memorable user experience. It might be that your mobile app design is not trendy, implying that some latest key features are missing from the design. In this way, if your business application is not working on expected lines, redesign it with new easy to use features. With the changing prerequisites of businesses and customers, the designers come out with numerous new solutions as mobile applications. The emphasis is to make the applications easy to use. New approaches to join navigational buttons and other features are being invented and executed each year. Designing for Bigger Screens: The new age of oversized smartphones and phablets come in bigger screens as people need to utilize more visual content on smartphones. This is the reason that the phablet market is required to grow by 36% until 2018 when compared with a development of only 4% for smaller smartphones. But mobile app design for bigger screens has its own challenges. A few changes must be made in UI/UX and navigation. Also, just not as much as a fourth of the screen region is in the range of the comfortable reach of user's thumb. So, designing of applications for the bigger screen is a trend but yet accompanies its very own challenges. Dynamic Functional Animation: A popular amongst the most well-known application design trends picking up momentum is creating dynamic and functional animation, which are eye-catching elements. These application designs are especially helpful for making outstanding designs to draw attention and for an improved user experience. In this way, the animation is no longer confined to the games and has now entered the domain of mobile app designs. Swiping: Another mobile app design trend to be watched in 2018 is further improvements in the swipe feature. The mobile phone screen as of now has a swipe feature, however, there is a scope for the improvement. The buttons were too small to tap in the early years of the app designs. Presently the buttons are large enough to swipe them easily. More Navigation Options: Simple and innovative navigational buttons are the new app trend that the designers are picking fast in 2018. The clear navigation through the app is the way to a successful app design. If you require a unique mobile app design for your business, you should explore crowdsourcing the work to ToXSL Technologies. This is a leading marketplace where several skilled mobile app designers come to search for work. Simply launch your mobile app design contest for them and get many exceptional design ideas at an affordable price.